The track wasn’t marked on the map. It was supposed to be for experienced hikers only. 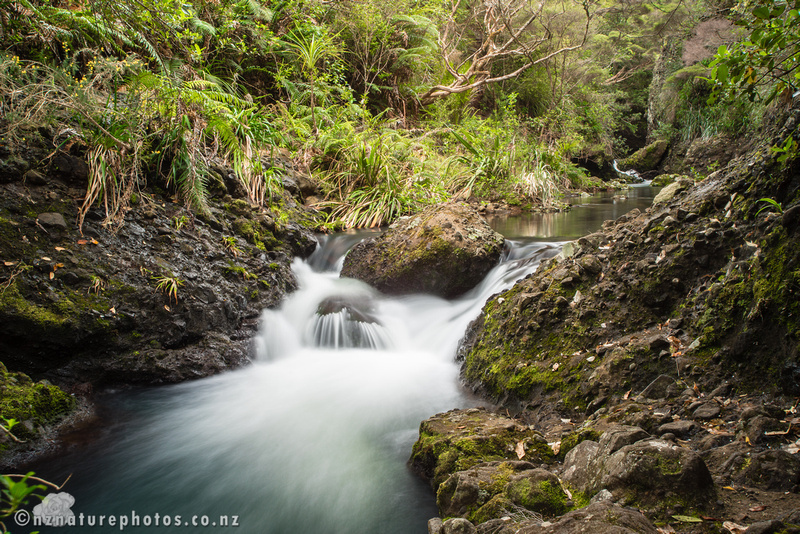 I’d decided to tackle the Pararaha Stream from the Lone Kauri Road end. 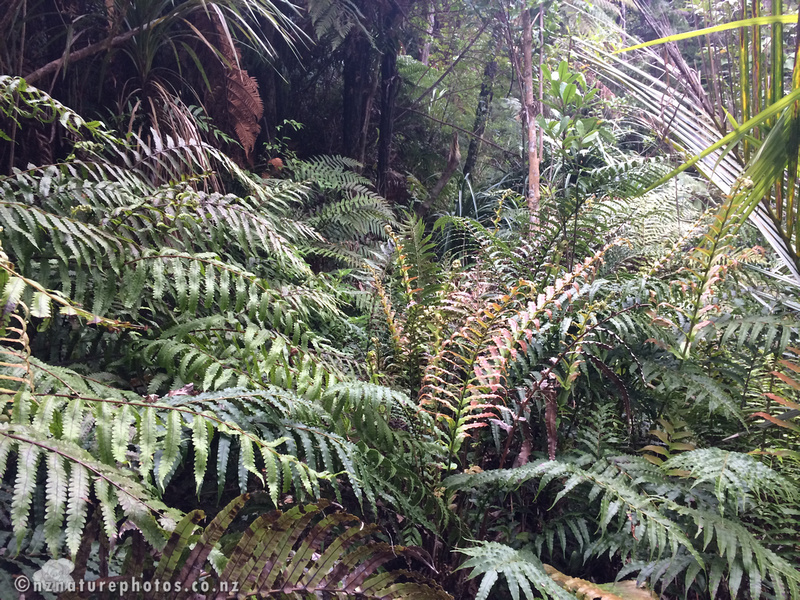 It’s an area of the Waitakere Ranges I hadn’t explored before, so I was unsure what to expect. I guessed I’d need my hands free. So the tripod was carried in a tripod bag (which could be slung over my back). 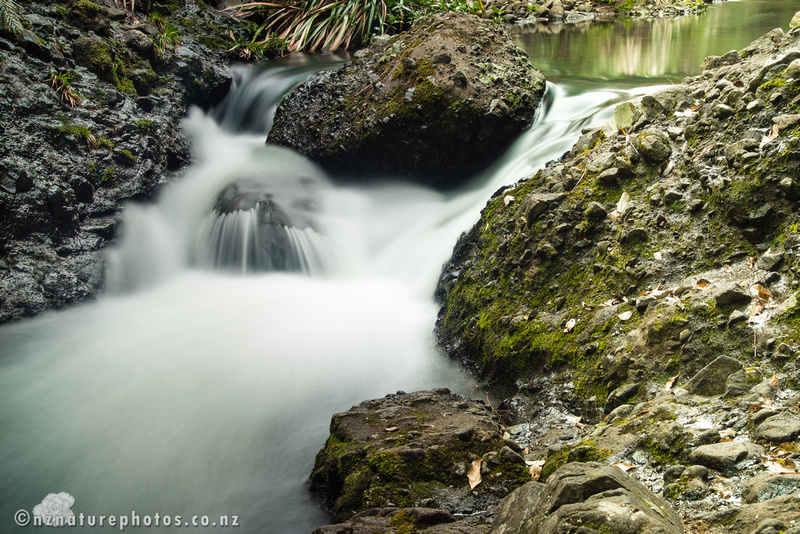 I took just a camera, 2 lenses and some Lee filters in another shoulder bag. It quickly proved impossible to keep the boots dry. The stream was running relatively high and to get purchase on the rocks, I had to dig deep into the stream floor to avoid slipping. Then there was the mud. This was definitely a trail for proper hiking boots. There was also a lot of up and down as some sections weren’t safe enough to navigate the stream edge. The trail would lead up cliff faces and down again. Having the tripod bag to free up the hands was a prudent move. I reached a a stretch of the stream I thought was photogenic. 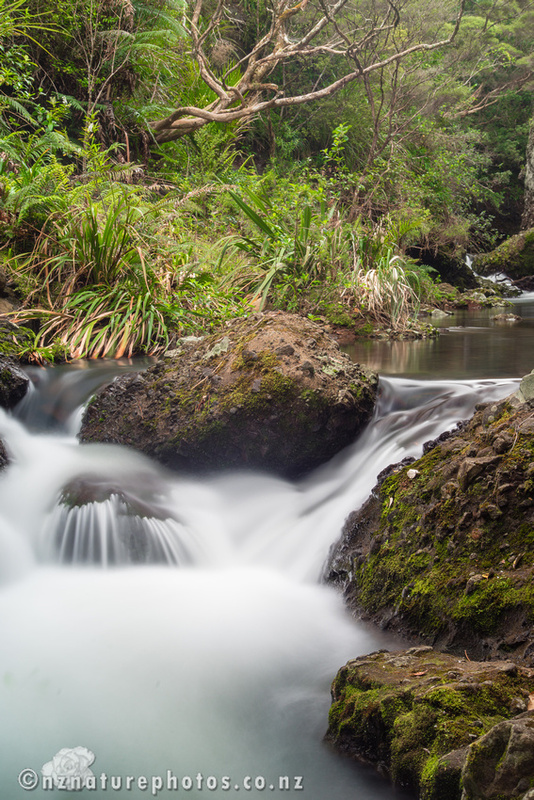 A nice cascade of water in the foreground, and with a visible cascade further back. The other good thing about the shot above, is you can’t see the bleeding scratches on my calves from some of that terrain I went through. Shorts though are the most practical attire for crossing streams. Also, a handy hint for traversing rock faces over rushing water. Always keep 3 points of contact on the rocks at all times. I got three shots from photographing these scenes I liked. It is a great place to explore, but I need a backpack rather than shoulder bag to manage the gear for balance. Also, gaiters. This was a trip where I should have taken gaiters for the lower legs as well. 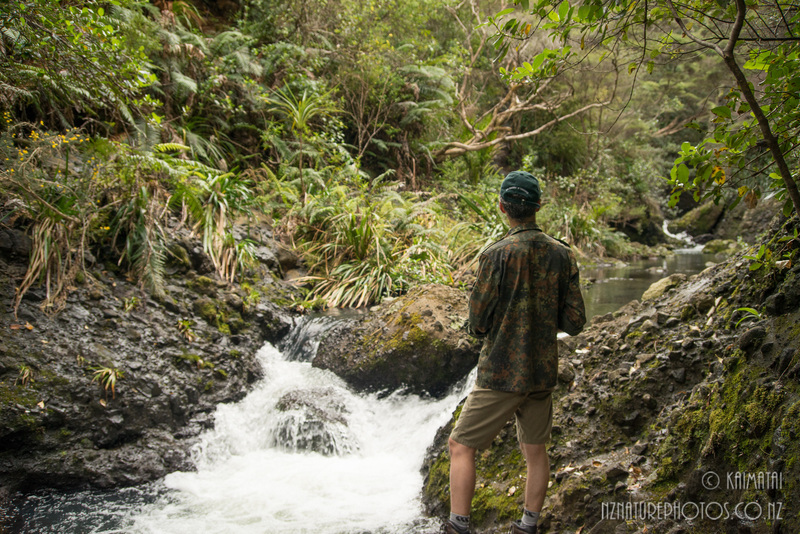 Good hiking gear is a necessity that is easy to overlook. And I’m conscious that this is terrain where I’m traveling alone with no cellphone contact. Not breaking a leg or getting swept into a deep pool are things I need to avoid. I know further downstream is a large waterfall, but it might be prudent to approach it from the Parahara Camping Site end. The shots above were taken with my Sony a7R and either my Minolta 17-35mm f3.5 G lens, or Minolta 35-105mm f3.5-4.5 lens. The later is one of the original Minolta designs from the mid-1980s. It’s surprisingly good. Also compact. The tripod was an Induro CT314 Carbon-Fibre tripod, with a Manfrotto geared 410 head, and an FLP LB-15 levelling base. All in all, it adds up to a decent weight. First thing to do when getting home was to extend it all out to dry, and unscrew the spiked feet to let these drain and dry properly too. Legs by the end of the hike were feeling the workout. It’s very much a track for experienced hikers. Perceptive readers will note that the domain name has now changed to something much easier to remember!